A journey to the northernmost point in Europe, where it’s “cold” even in summer. 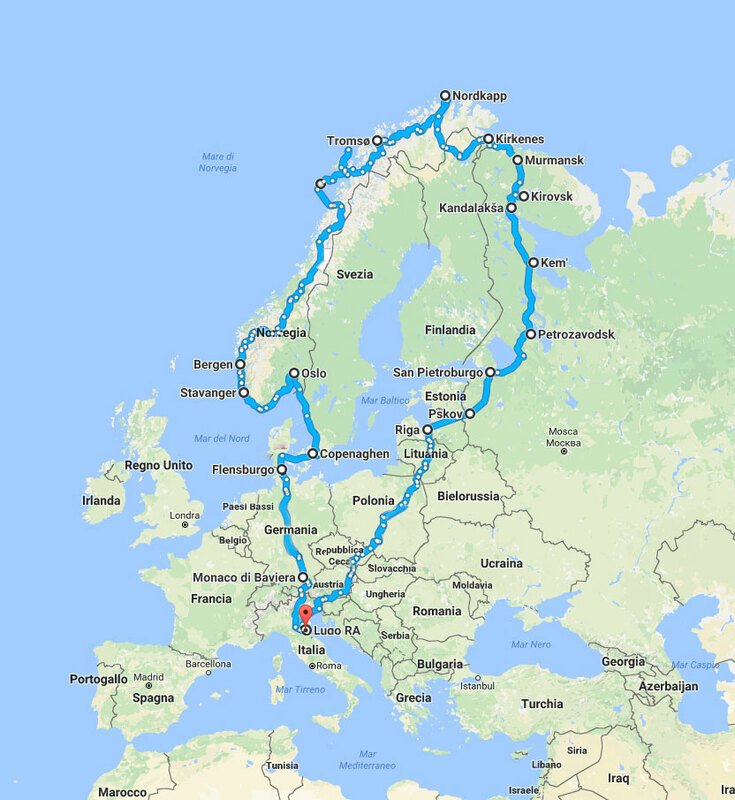 It’s impractical to plan such a trip for the end of the year, whilst riding a motorcycle. This is the story of the first book written by Alessandro Ciceri, otherwise known as “Wizz”, which includes anecdotes, images and video footage (accessed via special codes) of his adventure. The author is now working on writing his second book, dedicated to a motorcycle tour to Moscow on New Year’s Eve….naturally! “Wizz” belongs to the ranks of motorbike-travellers who have a need to tell their stories, preferably in the form of a book. After all, adventures like those experienced by Alessandro are “set in black and white”. 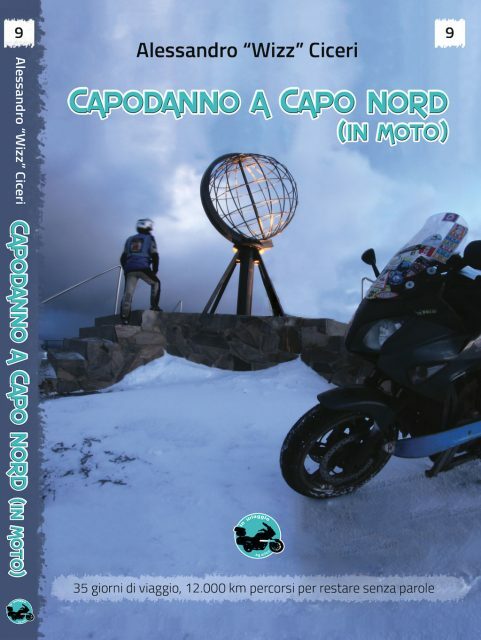 On 4 December 2015 leaving from Lugo di Romagna, riding his Honda CBF600, Alessandro uncorked his champagne in North Cape and arrived home on 7 January 2016, just one day later than scheduled. 35 days in all, travelling 12,000km, with just one fall and temperatures plummeting to -26° C. Very respectable numbers indeed. 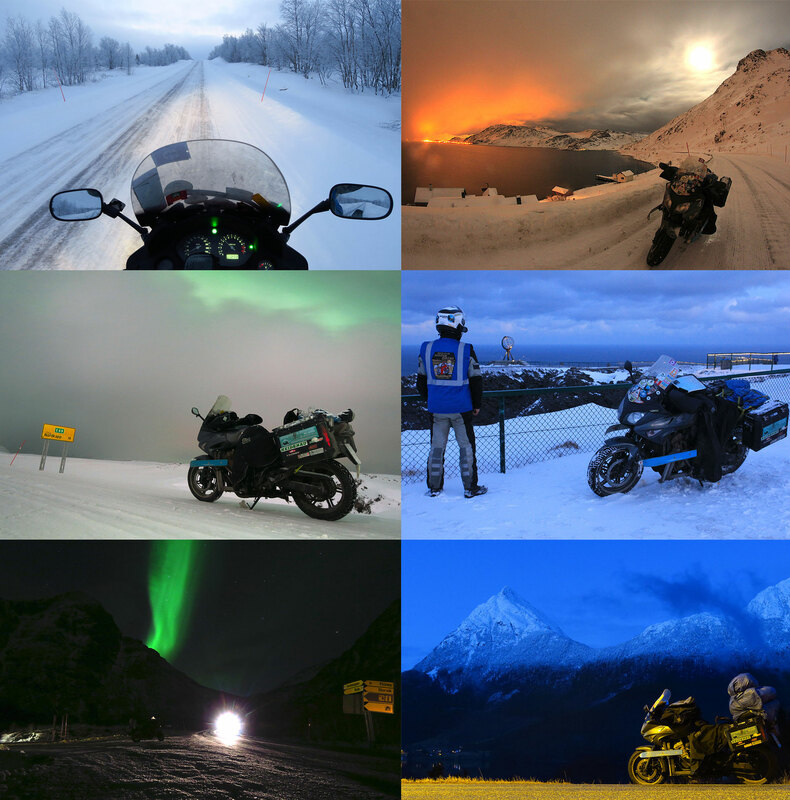 Norway, or rather North Cape, is one of the most popular destinations for two-wheelers… but we believe that very few have been able to reach it in the middle of winter, but Alessandro is among those riders that have and in his first book he recounts the most exciting moments using striking images and also video clips (accessed using QR Codes). As well as telling anecdotes, he provides practical advice aimed at those riders who, regardless of the season, have a desire to reach the famous iron sculpture of The Globe. New Year’s Eve in North Cape (on a motorcycle) is a self-produced piece. Trying to find a publisher interested in a project like this can become exhausting, however, today the web enables individuals to promote themselves through social forums, motorcycle events and the classic but effective word of mouth without the need for intermediaries. Two other books relating to travel tales already lived by Alessandro, are currently “works in progress”. In order of release, the first is NEW YEAR IN MOSCOW and it is indirectly linked to the title reviewed here. We asked Alessandro: “Will you be introducing changes to the writing formula used for your first book?” Alessandro replied that in his next book he would be emphasising his descriptions of places, surroundings and encounters with locals. By now, you will have no doubt realised that we are dealing with a true expert of “cold temperatures”. Wizz told us that it was in 2008 when he saw snow at high altitude for the very first time and he is still recovering. In fact, Alessandro usually travels during the winter months, heading towards the north. His ability to counteract low temperatures is well-highlighted in this book, from the preparation of the motorcycle to clothing, to technical solutions such as the creation of a fully functioning heating system for his helmet visor, designed by Alessandro himself.